Welcome back to our fifth month of 12 Months of Wreaths! I am excited to be co-hosting again. 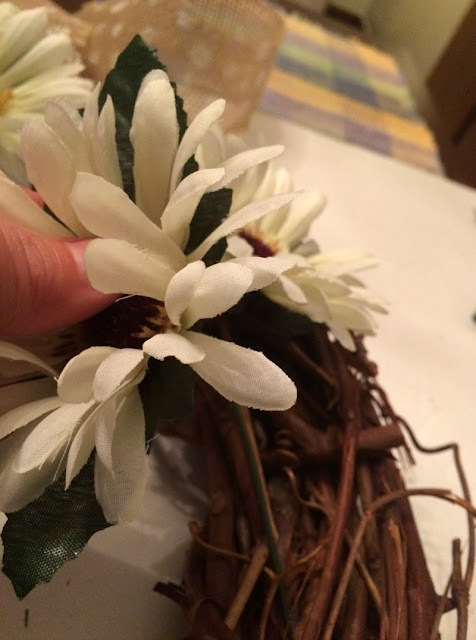 Ever since I made my Spring wreath using deco mesh, I have been looking for inspiration to make another wreath. 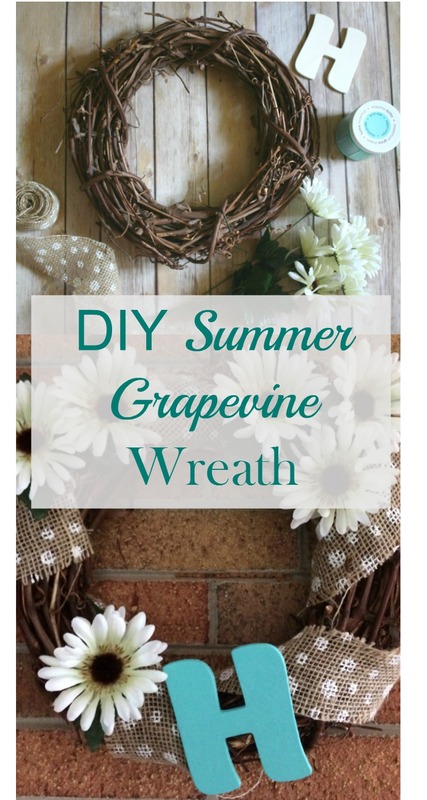 I picked up a small grapevine wreath form at Goodwill for $1, so I decided to make a summer grapevine wreath for my side door, using some supplies I had on hand. 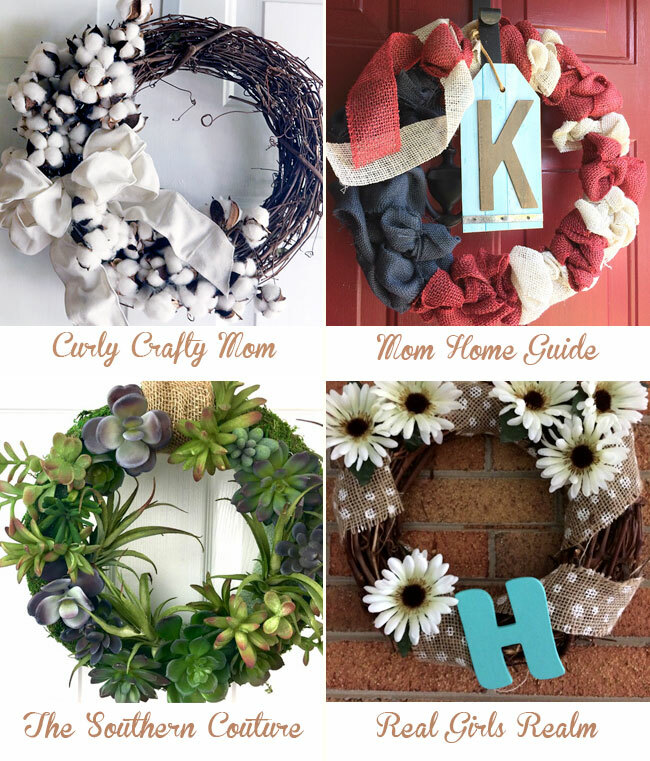 Welcome to 12 Months of Wreaths - May! 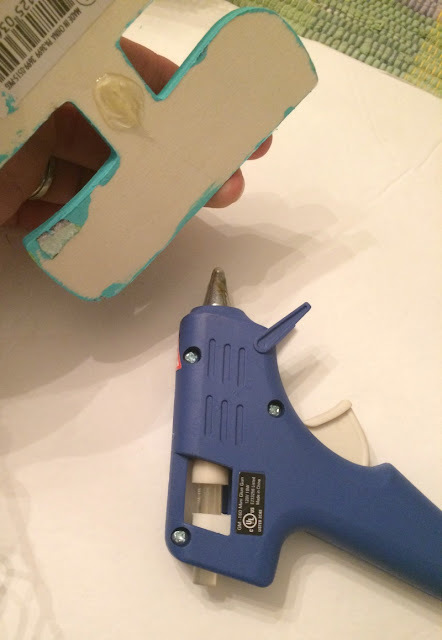 First, I painted the wooden initial with one coat of American Decor Aqua Gloss paint. 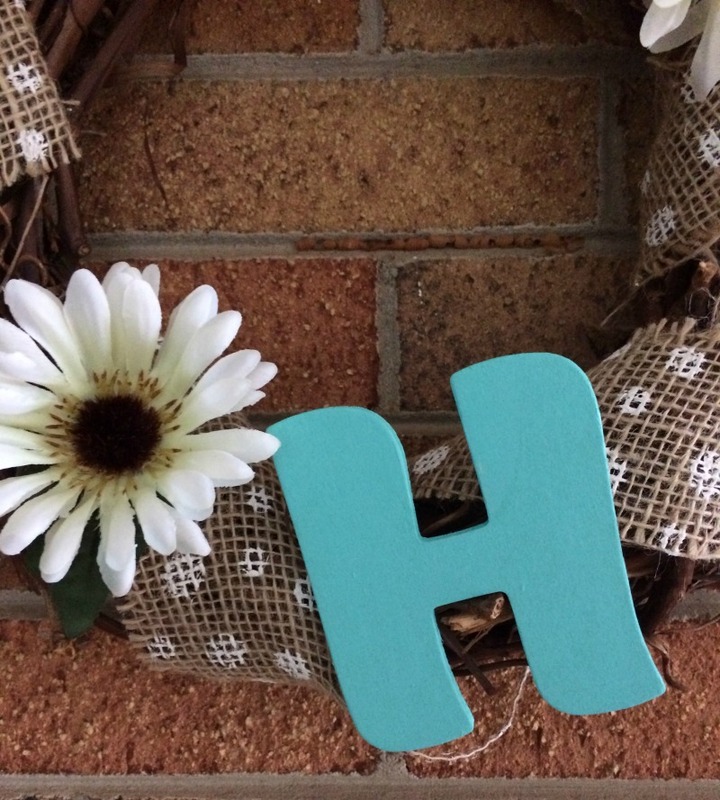 Once the "H" was dry, I used the hot glue gun to attach it to the bottom of the grapevine wreath form. 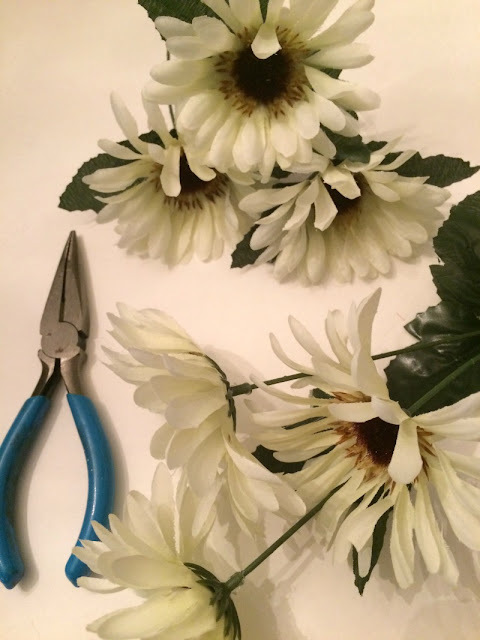 Next, I Cut the spray apart using the wire cutters on my pliers. Then, I attached the flowers around the wreath by bending the wire stem through the wreath form. I finished the wreath off by wrapping the burlap around the wreath, weaving it around the flowers. Since it was a little small for my front door, I placed it by my side door, where most people enter our house. Thanks for joining us for 12 Months of Wreaths! I hope you check out the other host's wreaths as well and pop back in next month for more inspiration! If you like it, then Pin it! This wreath is so pretty and perfect for the Spring! 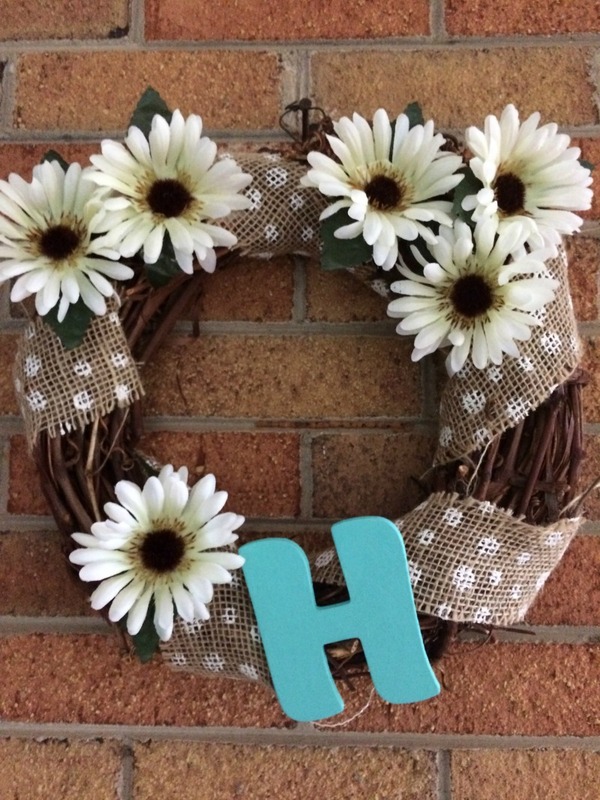 I love how you added a little monogram letter to it, too! I am all about monograms. 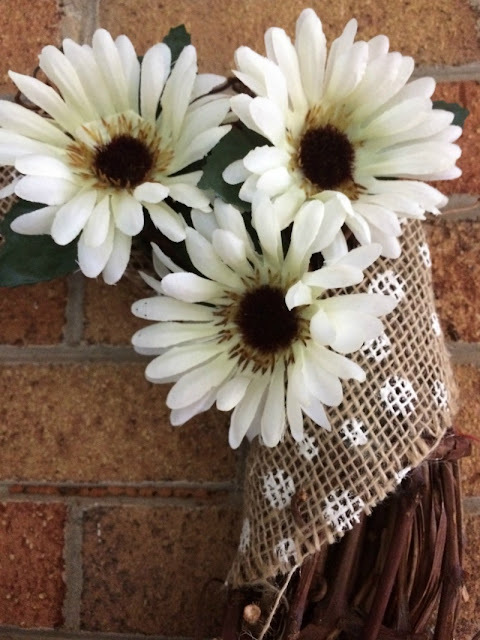 That polka dotted burlap is adorable and I love the flowers with it! The monogram gave it a little extra pop! I love your beautiful wreath. Happy summer! I love your monogram, too! Thank you! Happy Summer to you too! That wreath is adorable! 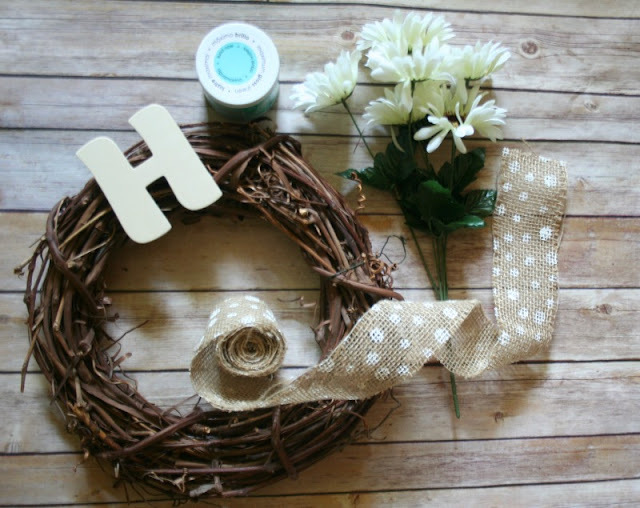 Love your initial and the polka dot burlap! I was excited to find the polka dot burlap! Thank you! I hope you make some wreaths! I would love to see them!